Stephanie Vie is Associate Professor of Writing and Rhetoric at the University of Central Florida. 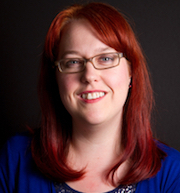 She is the managing editor for Kairos and a consulting editor for the Community Literacy Journal. 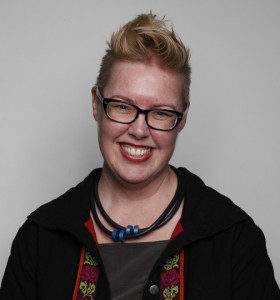 She is a former project director with the Computers and Composition Digital Press and has worked in an editorial capacity with the journal Rhetoric Review. Her work has appeared in such journals as First Monday, Computers and Composition, Technoculture, and Computers and Composition Online, and her textbook E-Dentity (Fountainhead Press, 2011) examines the impact of social media on twenty-first century literacies. For the editor workshops, Vie draws on her expertise with scholarly and multimodal editing to help facilitate workshops on developmental and design-level editing. Her Twitter handle is @digirhet. 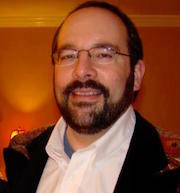 Michael J. Faris is an Assistant Professor in Technical Communication and Rhetoric at Texas Tech University. He has published about social media and mobile devices in the Journal of Business and Technical Communication, Composition Forum, College Composition and Communication, and Communication Design Quarterly. 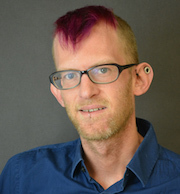 He is an associate editor of Kairos and teaches graduate and undergraduate courses on publications management and new media as well as directs the Media Lab in Texas Tech’s English Department. For the editor workshops, Faris draws on his expertise with scholarly and multimodal editing to help facilitate workshops on developmental and design-level editing.